Does a Student Have Access to His/Her Own Education Records? 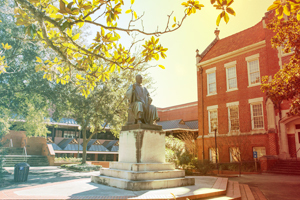 While academic, counseling and disciplinary records all constitute education records, they are maintained separately at the University of Florida. The Registrar's Office maintains students' academic records. To review other records, such as counseling or disciplinary, please contact the relevant department or unit or the Office of the University General Counsel (123 Tigert Hall; 352-392-1358.) If a student wants access to his/her academic record, they must complete a Request to Review Academic Record and submit it to the Office of the University Registrar in 222 Criser Hall. If the student chooses to fax or mail the form, it must include his/her notarized hand written signature, along with a copy of their federal or state ID. Within 10 business days, the Office of the University Registrar will set up an appointment for the student to view the requested record. Are There Limitations to the Access That a Student Has to His/Her Education Record? Note: If an education record contains information about more than one student, a student may access only the part of the record that pertains to him/her. A Student Has a Financial Hold Because of Outstanding Parking Tickets. Can the Student Still Obtain Access to His/Her Record? Yes, the student can still have the right to view the contents of his/her record. However, the university is not required to provide official transcripts until the debt is paid (except for official bankruptcy, if a student's debts are discharged). A Student Calls the Office of the University Registrar to Obtain His/Her Grades From Last Semester. Will the Office of the University Registrar Release This Information Over the Telephone? Can a Student's Education Record be Disclosed Without the Student's Consent? Disclosures to parents of dependent students in which the student has drug and/or alcohol violations that have occurred twice in one semester or three times during enrollment, regardless of how much time elapses between violations. If a student is hospitalized as a result of drug or alcohol use, the Dean of Students Office may inform his/her parents if doing so is necessary to protect the studentÃ‚â€™s health or safety. This policy is outlined in the Code of Student Conduct. All questions related to this policy should be directed to the Dean of Students Office (202 Peabody Hall; 352-392-1261). Can a Parent Request Access to Their Student's Education Record? The information requested is directory information and there is no privacy hold on the student's record. The student provides a signed release to the university. The student may specify what information should be released, including the timeframe for the authorization to remain in effect. Additional authentication of the student's signature may be required. The parents can demonstrate that the student is a dependent, as defined by the IRS. How Can I Prove That My Child is My Dependent? To establish that your son/daughter is your dependent, you must demonstrate that the student in question was claimed as a dependent on your most recent tax return. If you do not claim the student as your dependent, you may access directory information only, providing there is no privacy hold on the student's record. To access your son or daughter's academic record, you must have the Office of the University Registrar (222 Criser Hall; 352-392-1374) mail or fax you a Parent's Request for Nondirectory Information Release. You must provide the completed form and a copy of the first and last page of your most recent federal income tax return. In order for these documents to support a claim of dependency, the first page must list the student as your dependent and the last page must be signed and dated; you can omit other financial information. The consent form and tax return will be imaged as part of the student's permanent education record. The IRS documentation must be provided annually for the university to continue to recognize the student as your dependent. What if the Student is a Minor? As long as the underage student is enrolled at the university, a parent has no right to access their student's academic record, unless the parent provides the appropriate documentation of the student's dependent status. Do Divorced Parents Have Right of Access? Both parents have equal rights to the student's record, unless there is a court order or legally binding document stating otherwise. Generally either parent can obtain access as long as one parent provides IRS documentation of the student's dependent status. If this is not possible and the parent who does not claim the student still wishes to have access, a court order will be necessary. What if a Parent Has Power of Attorney? If all legal requirements are met, the individual listed on the power of attorney will be treated in the same manner as would the student. Unless there is a stated expiration date, the power of attorney does not expire. Students may prevent the release of directory information to third parties by placing a privacy hold on their academic record. Only current students may request privacy holds; once a student graduates or leaves UF, they cannot request a privacy hold. Once a privacy hold is in place, the student must transact all university business in person with photo identification. The privacy hold will expire only when the student requests its removal in writing, regardless of withdrawal, graduation or death. To place a privacy hold, the student would go to the Registrar Information Counter in 222 Criser Hall and complete a Restriction of Directory Information. 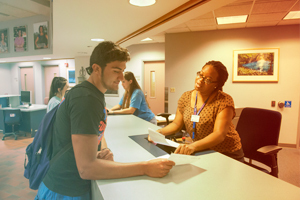 Directory information is still available to UF employees with legitimate educational interest, and in other situations where consent is not required by law. What if a Student Only Wants to Restrict His/Her Address on UF's Directory? To access directory information, the student would log on to the my.ufl portal with his/her GatorLink username and password and follow the prompts. The student can choose which elements he/she wishes to restrict from the directory, leaving some and deleting others. My Child is Considering Placing a Privacy Hold. If the Child Does This, Will the Parent Have Access to the Child's UF record? Yes. UF will provide access to directory and nondirectory information in your child's academic record if you are able to provide IRS documentation that the child is your dependent. The university also will make a reasonable effort to notify the child that you requested and received access to the record. Can a Parent Obtain Proof of Their Student's Enrollment? Insurance companies, parents and students can obtain enrollment verification directly from the National Student Clearinghouse, the university's authorized agent. The student may request an enrollment verification for their or have it mailed to them. A Parent is Concerned About Their Student's Grades from Last Semester and Wants to Access the Academic Record. Can the Parent do This? Generally, if the student was claimed as a dependent on the parent's most recent tax return, the parent can gain access to the grades, provided there are no other extenuating circumstances that supercede or limit the parent's right to access this record. To do so, the parent must complete a Parent's Request for Nondirectory Information Release and provide a copy of the first and last page of their most recent tax return. The first page must list the parent's student as a dependent and the last page must be signed and dated. Financial information may be omitted. Information about grades are never provided over the phone. A parent may personally request a transcript after they provide appropriate documentation to the Office of the University Registrar that indicates the student is their dependent. The charge is $6.00 per transcript for current students. There is a Family Emergency and a Parent Needs to Contact Their Child Immediately. Can the Parent Call the Office of the University Registrar and Find Out What Class the Child is In? No. Even if it's an emergency, the Office of the University Registrar cannot provide a parent with the child's class schedule, since student schedules are not considered directory information at UF. The parent should contact the Dean of Students Office (202 Peabody Hall; 352-392-1261) for assistance. Can a Student Request Changes to His/Her Education Record? If a student believes his/her education record is inaccurate, misleading or in violation of his/her right to privacy, the student may ask that such information be removed or amended. Please note: The right to request amendment of the academic record does not apply to challenging a grade. Are the Records of Applicants Protected by FERPA? 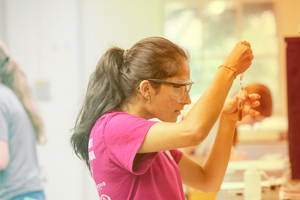 Persons who applied for admission are protected when they pay their tuition deposit or when they initially register at the University of Florida. Are the Records of Admitted Students Protected by FERPA? FERPA rights for admitted students begin when they are considered to be in attendance at UF. Do Former Students Have FERPA Rights? 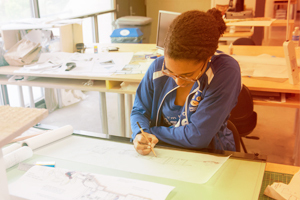 Students who have graduated or who no longer attend UF have the same FERPA rights as current students with regard to disclosure of and access to their UF education records. Privacy holds cannot be requested after graduation. Are Deceased Students Protected by FERPA? Upon the death of a student, his or her education record will remain confidential. Records of deceased students maintained by the O.U.R. will be released only to the executor or executrix of the student's estate or to the student's next of kin, upon submission of appropriate documentation.